Hello SanFrancisco - Alcatraz and Two Day Bike Rental! Alcatraz and Two Day Bike Rental! See the bay your own way with this 3-day combo package! Combine a trip to Alcatraz on day one with a San Francisco bike rental for two consecutive days to follow. 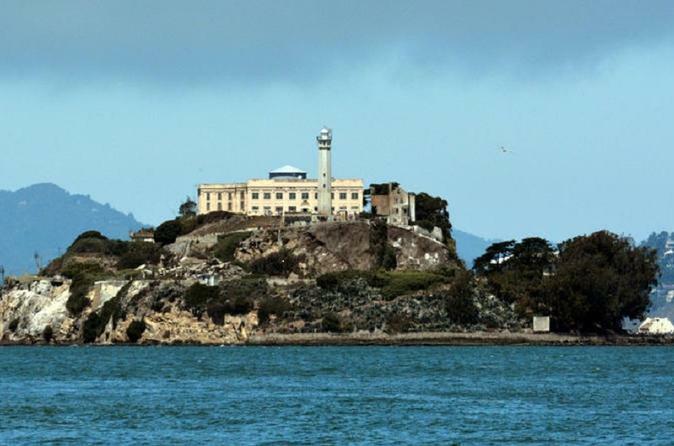 On your first day, take a ferry to Alcatraz Island, and get access to go inside the famous prison. Go on a self-guided audio tour of the grounds, and stay as long as you like during opening hours. Enjoy your bike rental on your Alcatraz day or for two day consecutive day bike rental (bike rental can start on day of Alcatraz or one day after schedule Alcatraz date as consecutive days). See the city the way you would like and not how other companies tell you to experience it! Head on over and pick up your all day bike rental to see the city on your own schedule. Your bike rental must be returned by 5pm on the second day located in Fisherman's Wharf. Deposit may be required for bike rental. Bike rental does not have to be used on the same day as Alcatraz but the last day to use your bike rental voucher is one day after scheduled Alcatraz date.